There is a traditional handmade doll made of white paper or cloth called “TeruTeru Bouzu” in Japan. When I was a child, my friends and I made this doll and hung it from the roof as a way of wishing for good weather the next day. We made this doll especially for the day before a field trip or field day outdoors. I made needle felted dolls similar to Teru Teru bouzu, but prettier and cuter. 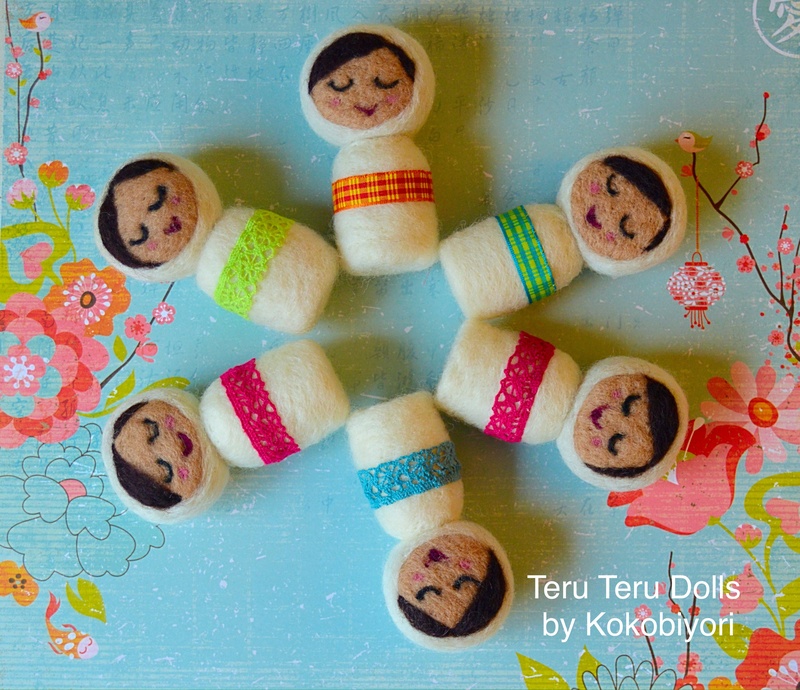 The Teru Teru dolls I made are girls, wrapped with pretty ribbon or lace in the middle. Each doll has unique features on her face and different aspects among them, which is actually one of my favorite things about handmade crafts. I can place these dolls on my window sill and wish for something other than the dreary winter weather.